Within the last month, two new fire engines were put into service following a “push back ceremony”. 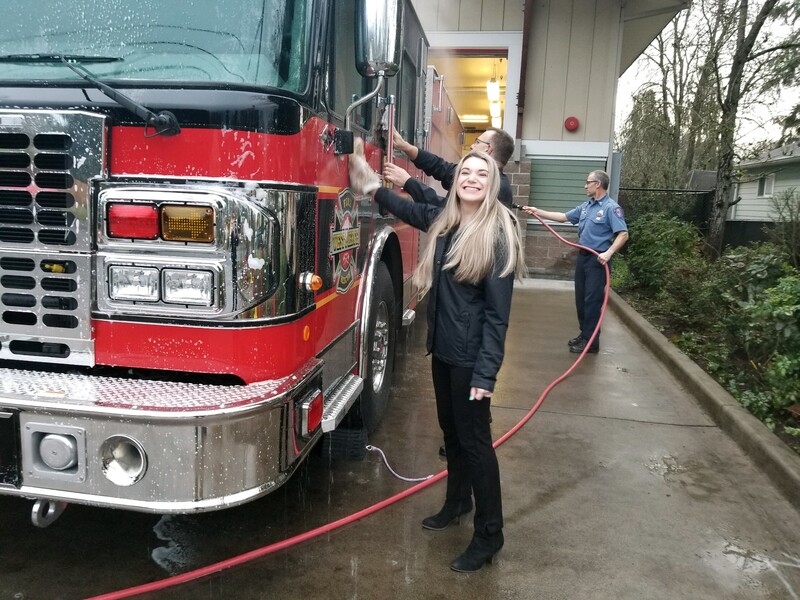 Historically, when a new piece of apparatus is added to the fleet, it is customary to bless the vehicle, wash it and push it back into the apparatus bay, signifying it is ready to respond to the next emergency. 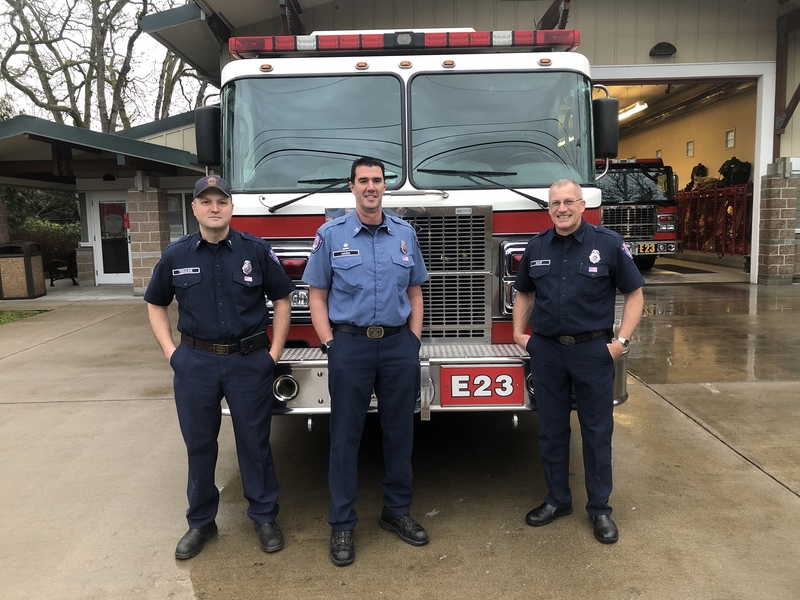 Around town, residents will notice Engine 20, which runs out of the station on Pacific Highway and Engine 23, which runs out of the Tillicum station, as the newest vehicles in West Pierce Fire & Rescue’s fleet. Each of these engines were blessed by WPFR chaplains, washed and pushed back into their bays by West Pierce personnel, ready and waiting to run their first 911 call. These engines were purchased in mid-2017, but due to production time, were just recently delivered and ready to be placed in service. 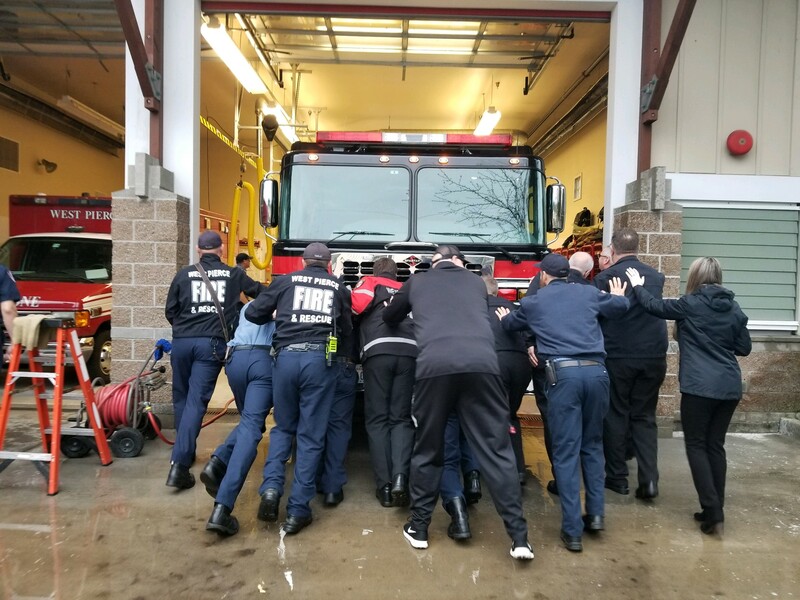 They were purchased through a financing program offered through the State of Washington and will replace two older engines. One engine that was replaced was from 1986 and will be surplussed. The other, from 1991, will be repurposed and used in WPFR’s recruit academy to train new firefighters. Other than simply being a newer piece of equipment, the features on these engines are far safer than the ones being replaced. 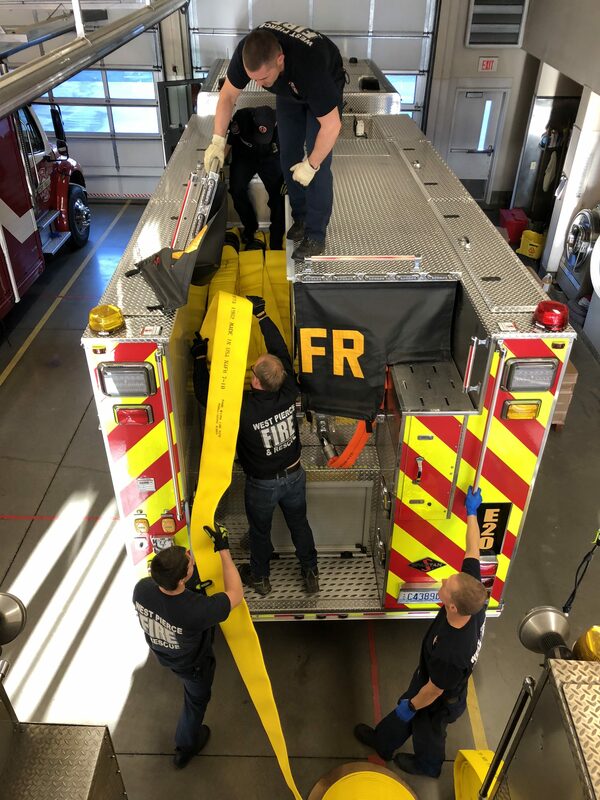 Features such as improved safety restraint systems (seatbelts) and airbags are two of the most important to protecting the firefighters inside. 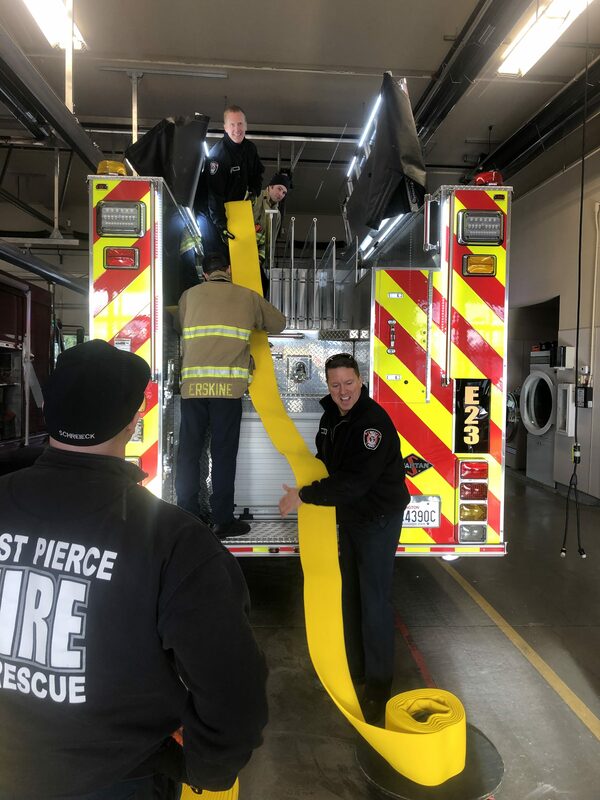 Below are some photos of the engines and preparing them to be used to protect the residents of West Pierce.